At entrance, You will see a map of trail system with singletrack also mapped. A sign guides you as to the start. You will travel in a clockwise direction. One loop takes about 15 to 20 minutes. Rolling terrain through heavy woods. You will feel totally alone in the wilderness. Uphill sections aren't too severe and trail rides fairly smooth. Nice workout with a few loops. Some rocks on an uphill climb provide a challenge and there are too plank bridges to cross. Nice downhill section with turnoff option to hit wooden ramp or continue down and catch air off the moguls. Tricky switchbacks keep will test your control. All in all, a nice trail, and fun ride. There is another loop currently under construction that can be ridden out and back. At entrance, travel past wooden gate and go up hill staying on the left trail for about 300 yards. You will see sign on your right hand side. Review: Easy to Intermediate riders delight. It is a quick flowy single track that is easy to follow, main loop right out of the parking lot is a 2.5 mile fast single track run. The rest of the trails are accessable through multiple points and intersecting the snowmobile / xc trails. Be prepared however as the only trail indicators are ones telling you where the parking lot is... so experimentation is expected. Bonus is some of the harder to reach trails are quite good downhill, and end in the skills park which offers a few jumps, drops and pump track/berms to play on. Review: This is a beginner to intermediate loop. Virtually no elevation and only a few rooty sections so it is more beginner than intermediate. Fairly fast with lots of twisty's and mostly good flow. Classic MN hand cut single track for sure. I only had time for about 3 1/2 miles due to daughter's swim meet but there is at least 5 miles of solid riding. 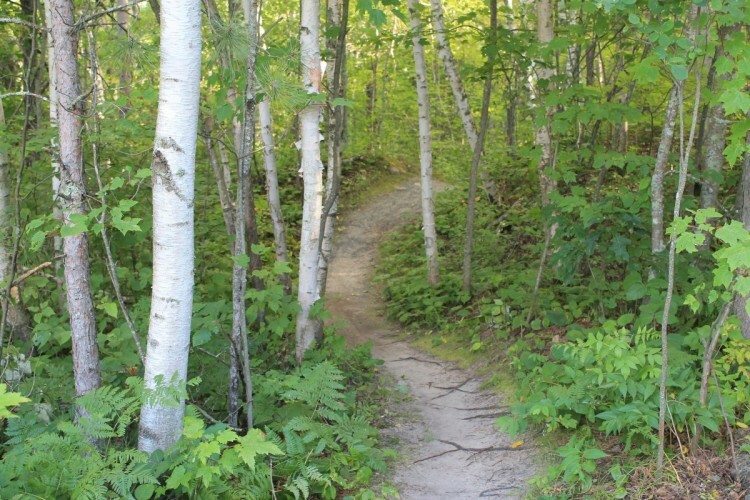 Review: Excellent, flowy and fun trail tucked in the woods north of Bemidji. The locals have done a stellar job with limited area and terrain. There is a nice mix of pedally climbs and flowy cruisers as well as open and fast mixed with tight and twisty. This tail rewards good cornering skills with conservation of momentum in many places. Review: Awesome ride! Wasn't expecting how nice and flowy the trails turned out to be. The few obstacles they have are very fun. They aren't too easy or impossible to do. Just right! The uphills were never too bad especially for the ride downhill they give you! Very exciting! Love how you can tell new stuff is being added. It makes you want to come back even more! 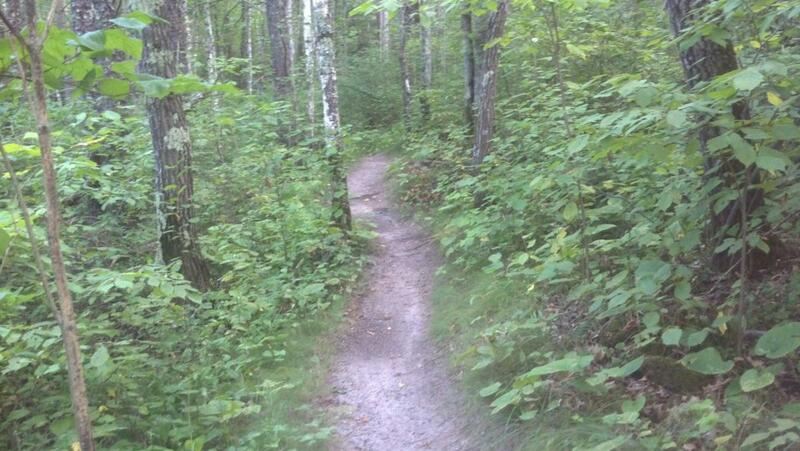 Overall, awesome trail that we have to hit whenever we go up to Bemidji! Review: I was just on this trail for the first time this past Labor Day weekend. I looked for some mountain biking in the area a few years ago and there wasn't anything worth while. I have to say that this trail was a nice surprise and I'll be bringing my bike with me more often when I'm in the area. The volunteers that are building this trail have got the beginnings of a really nice trail system here. The trail is broken down into two separate trails. There's a shorter one that starts just to the right of the park trail signs and then there's a larger one that starts up a double track road from the park signs. There really isn't good signage that leads you to it but you'll pass parts of it as you ride up the double track and eventually you'll see the start. I recommend riding both trails, both for distance and for fun. The first trail is short but has some narrow trail with some tight switchbacks and some natural moguls (or woopty dos) that get you moving. There are a couple small plank bridges and a really cool side trail that takes you over a small bridge/ramp with a very steep decent. The second trail is a longer and better trail. This one has more narrow trails and tight switchbacks like the first one but it also has a few fun technical obstacles including a downed tree that has boards added to it to ride along it's length with a banked turn at the end. Then, just when you think you're done with this trail you have to pedal uphill through soft sand. It's a pretty good workout at the end of the trail. I stopped by the LBS after riding and ended up meeting one of the volunteers for the trail. He was a nice, enthusiastic guy that had some ideas for trail improvements. It's good to see that this trail will more than likely get better with time. I do have a few comments/recommendations for the trail builders, though so I hope they see this post. First, some better signage for the side trails that take you to the technical obstacles would be great. I actually missed almost every obstacle and had to go back so that I could try them. Second, either add more technical elements to the trail or build an entire technical (single or double black diamonds) section for more advanced riders to ride. Things like adding what I call "rock gardens" or possibly even stacks of logs to climb over would be great. Finally, getting your trails listed on the park's main trail map would be great. I almost missed the smaller side map and even it didn't include the newer longer trail. Had I not read about it I wouldn't have known to look for it. All-in-all, it was a good ride and I look forward to seeing how it has progressed the next time I'm in town. 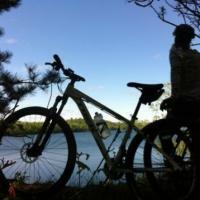 Review: Great trail system just outside of Bemidji. The trails are well maintained and marked. We mapped 4 miles of singletrack. There are lots of other trail options at this county park. Movil Maze MTB Trail 4.29 out of 5 based on 7 ratings. 7 user reviews.